The 2017 World Champion Barrel Racer only gets better and better. 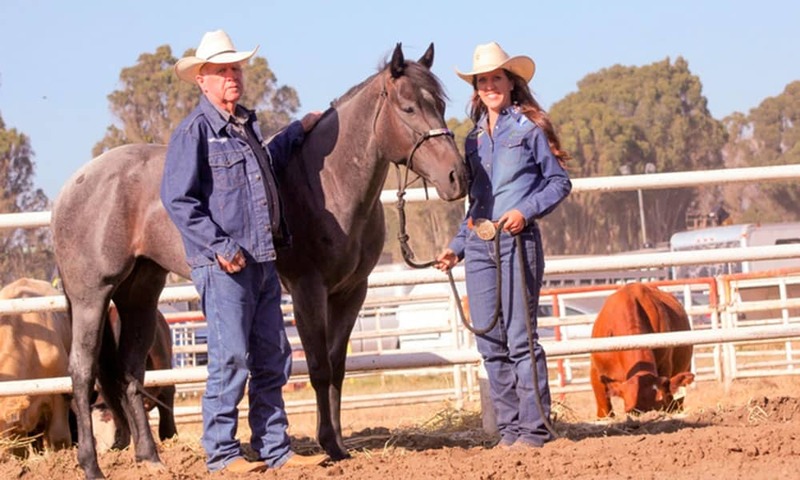 Nellie Miller pictured with her dad, Sam Williams, and horse, Rafter W Minnie Reba (Sister). Photo by Julie Baish-Sproul. Nellie Miller, the 2017 World Champion Barrel Racer, continues to prove that she’s in it to win it! The California cowgirl won the first round at Cheyenne Frontier Days with a fantastic time of 17.54 seconds. Keep on rocking the rodeo circuit, Nellie and Sister! COWGIRL Magazine is rooting for you.